In what can only be considered one of the most bizarre Apple product launches of this year, the Cupertino company has officially released their newest miniature tablet: the iPad mini 2 with Retina Display for everyone to consume. 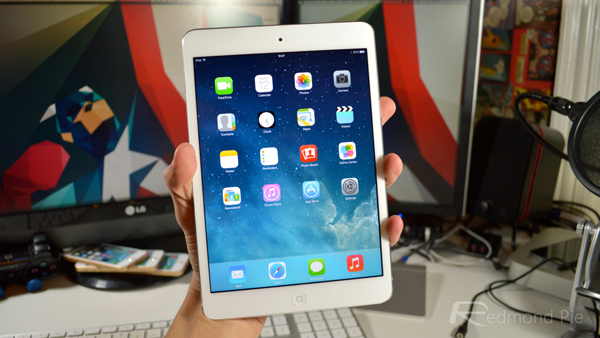 If you’re unaware, the new iPad was announced alongside it’s bigger brother, the iPad Air. This is where the launch similarities end though, as Apple were particularly coy about when, or where, it was going to be available. In a sudden frenzy – as opposed to their standard organized launches – Apple let loose that the iPad mini with Retina Display could be reserved for pickup in store, or purchased directly though Apple’s online store. Obviously after hearing this, I shot down to my local Apple Store to see whether they had any availability for the high-res tablet; it seemed I was in luck. I managed to pick up a 16GB Silver Wi-Fi only iPad mini 2 with Retina Display, and in true Redmond Pie fashion, I am providing you with an unboxing and first boot for the new product. The main selling point for this iPad is of course the display. Coming in with a resolution that matches the iPad Air at 2048 x 1536, considering the screen size is almost two inches smaller than a full size iPad though, the result is a very pixel dense screen with a PPI of 326 pixels per inch. The difference in screen quality compared to last year’s iPad mini – a difference of 163 PPI – really is quite dramatic when you put the two iPads next to each other. As with previous display updates Apple has included in the past, the Retina Display truly is a compelling feature that could well be reason alone to upgrade. The iPad mini is also fast. Very fast. Powering this display is none other than Apple’s new A7 chip, which includes 64-bit architecture and integration with the new M7 coprocessor. Simply put, it can easily push around this many pixels with ease, meaning you should have a pretty flawless user experience. Both the new display and the new processor are sure to zap power far quicker than in the first-gen iPad mini, so we’ll be sure to cover how well the battery life performs in our full review. 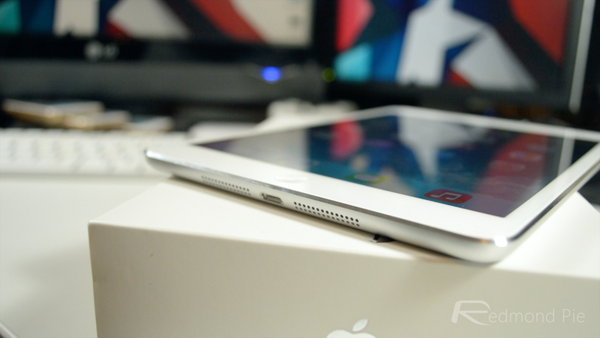 Be sure to stay tuned to Redmond Pie for more content on the new iPad mini coming over the next few days.